When you see a fabric that you absolutely adore, but it won't do for clothes and you can't stand to cut it up small for patchwork? 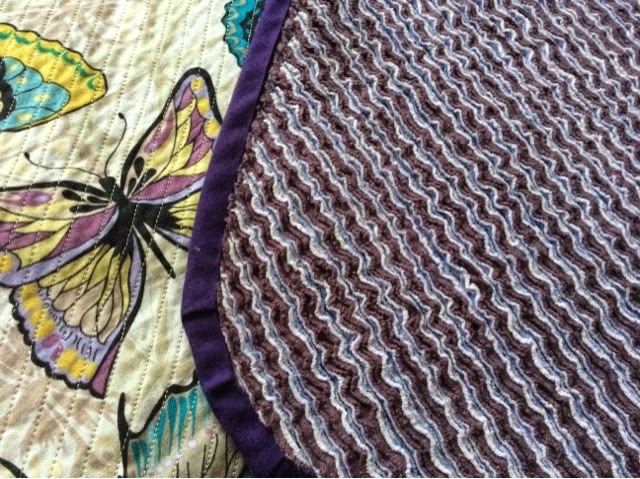 Heirloom chenille blanket from Anneliese over at Aesthetic nest to the rescue. 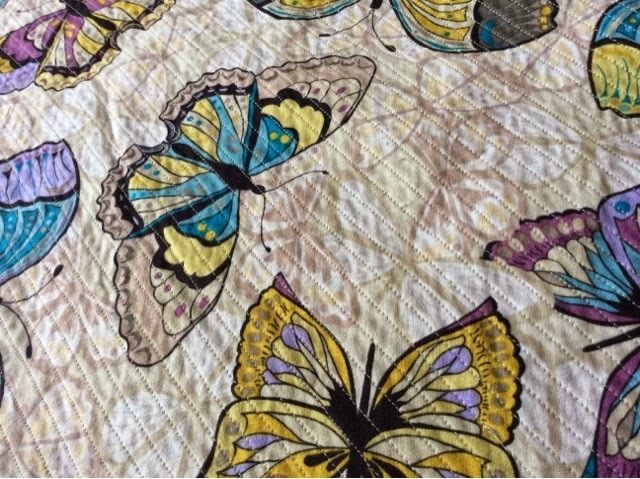 This lap/baby sized quilt lets you showcase over a metre of fabulous fabric, seeing the full effect of the design. 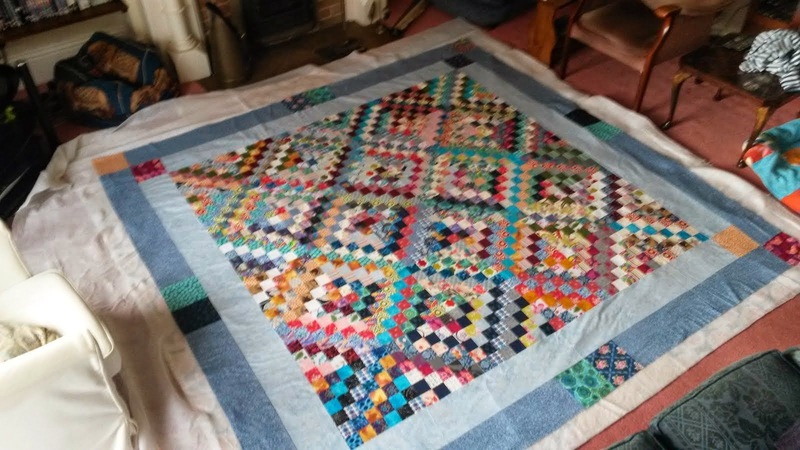 The piece of fabric I used for this quilt was 1.25m x width of fabric (44 inch fabric), so the finished quilt is just a bit smaller than that. I have made two of these now, and this was the first one that I made. 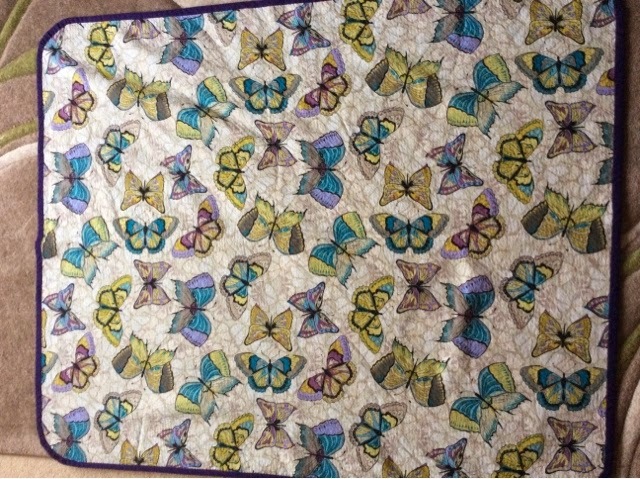 I love this butterfly fabric, it's so happy, and it makes me smile every time I see it. The tutorial for this blanket is really good. I did invest in the proper chenille cutter in order to cut the back - although possible to do it with scissors I think it would take a huge amount of time, and be difficult to get the cuts looking even. Also, there is no need to panic if your lines don't stay totally straight. I drew a line with a ruler for the first line of stitching, and then just worked off that for the rest. If it looked like my stitching was getting a bit bendy then I did make an effort to straighten it up, but you really don't notice a few wobbles or slight curves in the finished quilt. The second time I made this I didn't round the corners off, largely so that I could use straight binding rather than bias binding. I think it looks great either way, just personal preference!